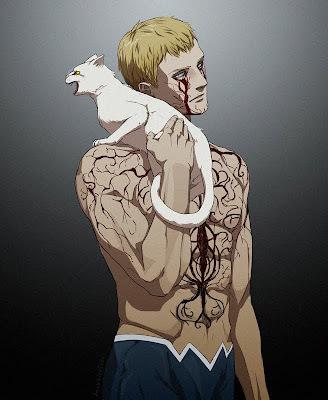 The Daily Zombies: Animal Man Anime? Has DC's all-new, all-improved Animal Man just gotten a new anime? It is no secret that we here at The Daily Zombies aren't big fans of DC Comics' big-time gamechanging "52" relaunch initiative . Even then, we have no qualms in declaring writer Jeff Lemire and artist Travel Foreman's relaunched Animal Man as one of the best things to happen to DC Comics in a long time. 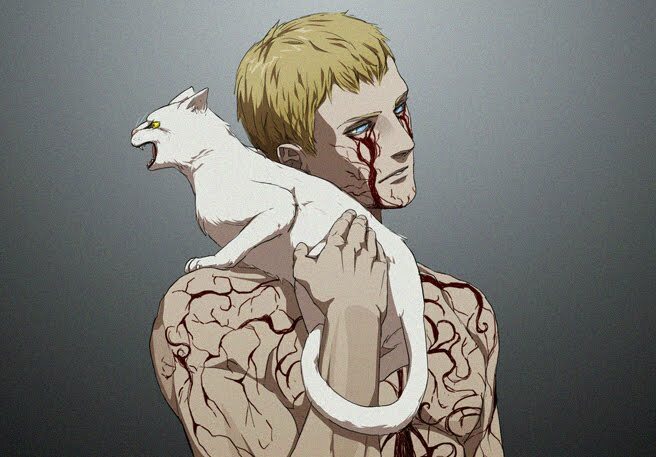 Who would have thought the usually light-hearted Animal Man would work so well as a horror yarn? Artist doubleleaf, who obviously shared our views, conjured an anime-style rendition of good ol'Buddy Baker.